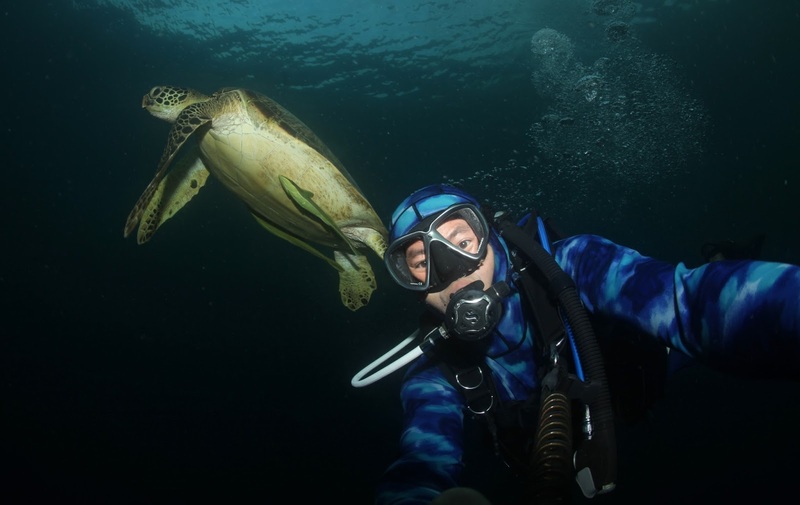 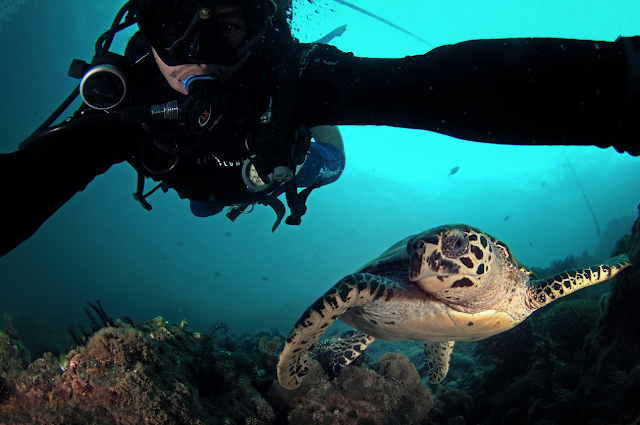 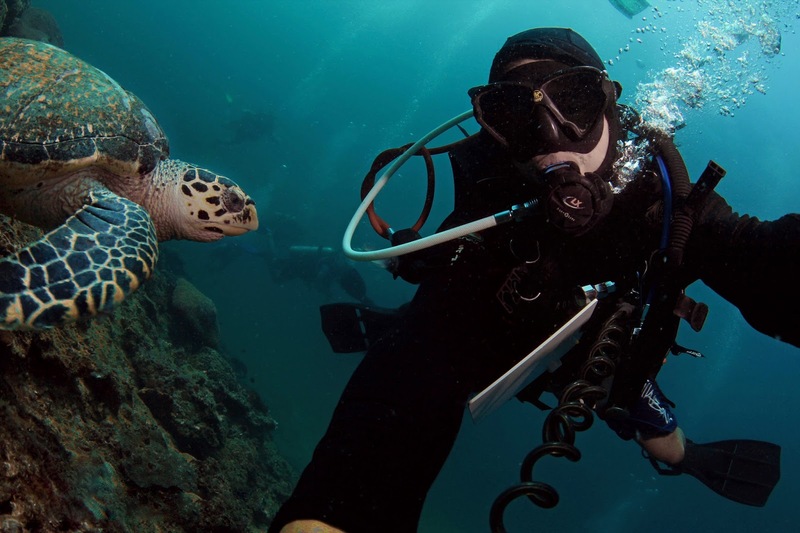 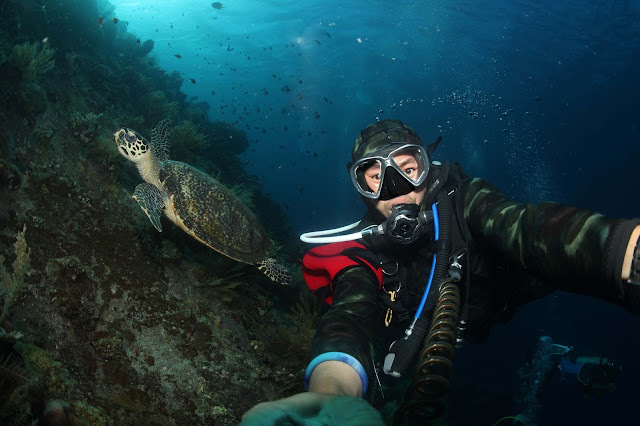 Tips on seeing turtles: When you're new to diving, your dive guide usually takes you deep, 50- 60 feet most of the time and slowly takes you to the surface. 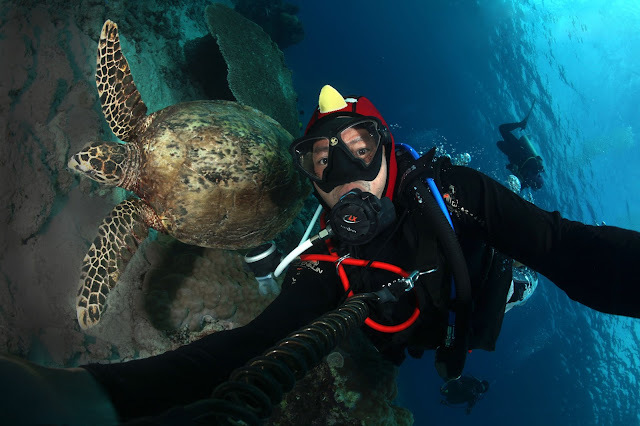 Resident turtles reside at a shallow 15-30 feet. They usually maintain this depth since they do have to breathe at one point right? 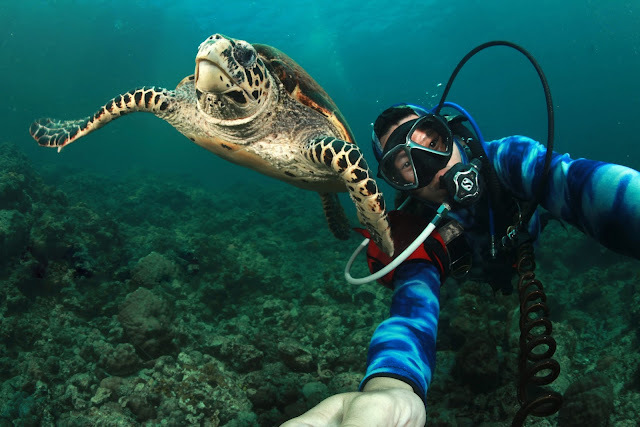 Try diving consistently at this depth and your hit rate of seeing turtles will increase two fold. 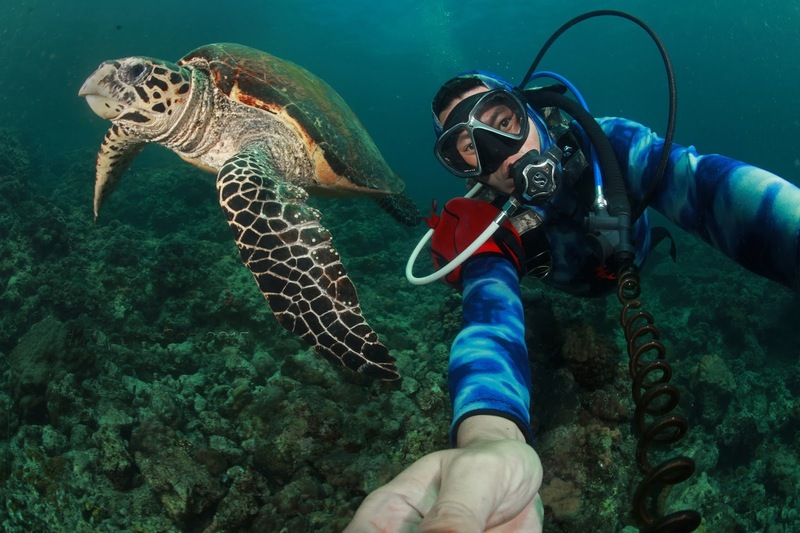 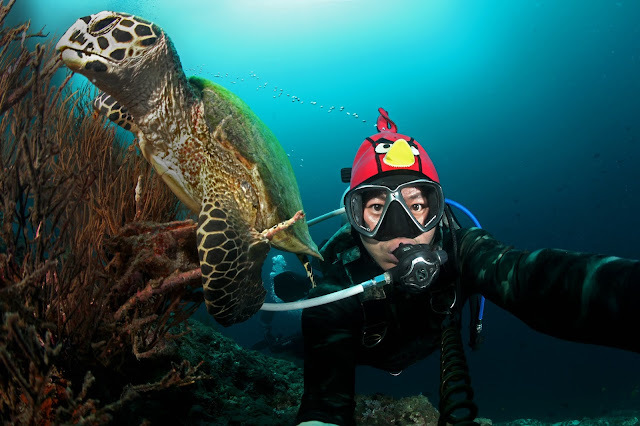 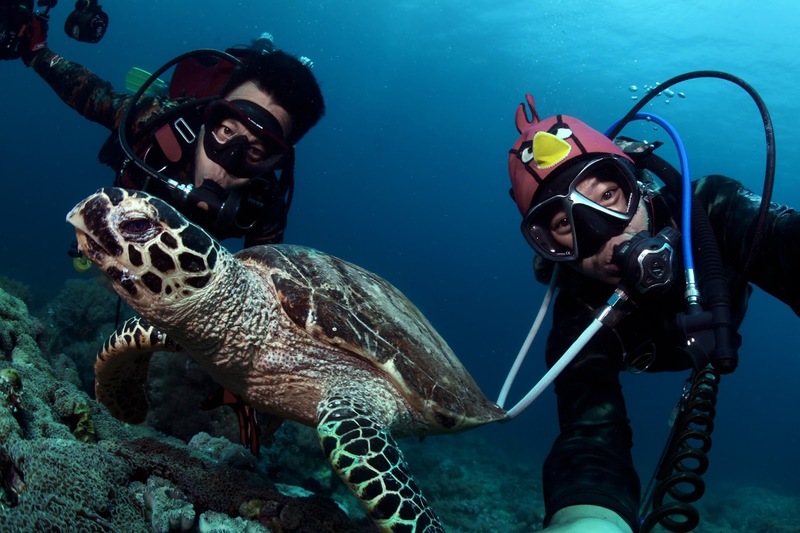 Just make sure the dive site you are going to has turtles (some sites dont).